China and France fight for Africa! After dark in central Rotterdam, cycling around attempting to locate some free WiFi before our host retires to bed, and we are left without an address and without a place to rest after our 50 mile ride. Suddenly on a random street corner, the devil pops up on our phones to lend us a hand: WiFi 666 connected. Help comes in all shapes and sizes when you choose to be spontaneous. When I decided to head off with some friends a day before my coach left for Amsterdam, I didn’t know just how spontaneous and unorganized the trip was going to be. Not knowing if we would have a place to stay for the night, long distance riding on inner city bikes and navigating along blue squiggly lines. Despite all the potential setbacks everything ended up going rather smoothly and is proof that you can still travel spontaneously and cheaply in Europe. There is so much help available to anybody who wishes to travel around Europe at a drop of a hat without maxing out their overdraft. There is no denying that west and central Europe is expensive but there are always ways to dodge the brunt of most of the costs. 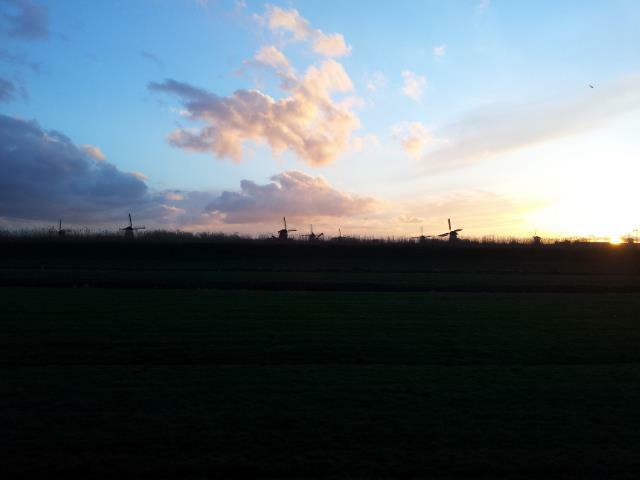 My spontaneous trip to the land of windmills and tulips used just some of them. I was on a three day excursion to Bristol when I went for a drink with a good friend also escaping for Easter; Alice was flying to the Netherlands in a few days time and said I should come along. Having no money was apparently not going to be an issue, she and another close friend of mine were cycling around the Netherlands couch surfing and staying with friends they had met in Spain a year before. Sounded cheap, sounded fun, sounded like an opportunity. My first use of an online service to aid my venture was the car sharing service Bla bla Car. Bla bla Car is a site where people offer lifts to a destination for a small fee. While looking for rides from Bristol to London for the following day I saw a friend of a friend offering lifts for the very reasonable price of £15 (Much cheaper than any train or coach service). However having met and drank with him only a few days previously, my lift to Watford Junction train station was gifted for free. Luck always aids the spontaneous traveller. The night before I had booked a £30 overnight coach from Victoria Coach station to Amsterdam on Megabus.com. Megabus is often by far the cheapest travel service to get around the UK and Europe especially if your trip is last minute. If I had booked the coach a few weeks in advance it would have onlybeen £20, cheaper than most flights, trains and the cost of fuel to drive there. I met my friends Chris and Alice at Amsterdam central station after a day of smoking, unsuccessful bargain hunting and transport dodging in the Dutch capital. We caught the metro to the east of the city centre where our first host Nicole lived, a student they had met on some Mediterranean journeys a year before. In a city full of old, traditional pretty buildings our first stop stood out like a sore thumb. A dirty white tower block with a political painting masking its one face, and concrete steps we were instructed to climb to a lift door with reinforced glass window. Spray painted pictures of Stuwie Griffin and other cartoons greeted us inside on the flat walls, football trading cards decorating the toilet cubical, 6 or 7 different sized speakers littered the living room and a balcony looking over the entire city centre protruded ungracefully from the outside wall. Our first place to stay was nothing if not cool. To top it off on the bottom floor there was a club restricted for block residents only and for the cherry on top our host had already got the beers in. After much drinking, conversing, smoking and even more drinking with Nicole and her 14 other student housemates we had a few drinks in the club before passing out for the night on our sofa bed, located right in the middle of this busy student flat. After spending another day in Amsterdam and another night where alcohol featured prominently our plans for the following day were: to collect our bikes, the state of which were unknown, cycle to Utrecht, unsure of the distance and if we were fit enough to make it and stay in the city, with no guaranteed place to stay and the very real possibility of being homeless. The next day in short was a mystery. The website Couch Surfer featured prominently on our journey; as well as being the service we used to find a place to spend the night on three occasions it was also how we found the bikes we were to use for our journey. Bike rental is understandably very popular in Holland but most companies don’t rent bikes for less than 10eur a day excluding deposit, so when Alice got a message from a host on Couch Surfer saying he would rent us bikes for 10eur each for an entire week, we jumped at the chance. We had to wait until 4PM the next day to collect our bikes located on the opposite west side of the city past the central squares, Ann Frank’s house and the Westerkerk church.The bikes we collected were not those normally associated with long distance riding, an old non-geared, back pedal braking traditional Batavus in particular. The other two were a new Batavus, this one with lever brakes and gears, and a well-worn mountain bike. These were to be our vehicles for our intercity travelling, so it was lucky none of us are known to turn down challenges. There was a catchphrase created early on in our trip that kept re-emerging, “it’s not a quest without obstacles”. I’m not entirely sure what quest we were on and I’m fairly sure a quest does not require obstacles by definition but it did seem an adequate catchphrase for shrugging off any problems we came across. The first obstacle in this case was navigating out of Amsterdam to its south eastern corner, using a 1:300,000 scale map of the entire of Holland. Two hours later and with the help of a lady in the vast Amsterdamse Bos park, we made it to Abcoude and more importantly a cycling sign post pointing us in the direction of Utrecht. 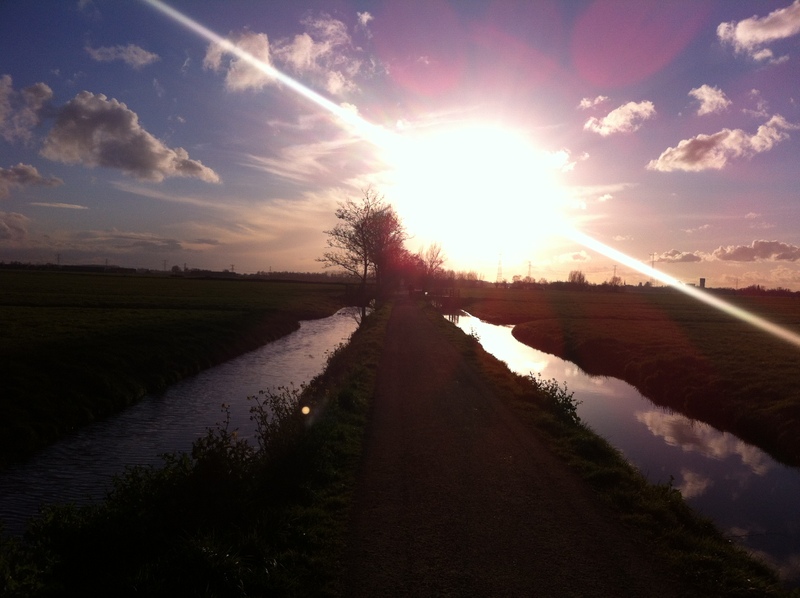 Unfortunately the sun had all but set by the time we escaped suburbia and the ride, as pretty as it was following the river Vecht south through the small towns and villages in the moon light, would have been beautiful in daylight. The best thing about Couch Surfer is that every host who provides a bed, a blow-up mattress or a sofa to sleep on, does it out of kindness, to meet new people and because they are like the people they host. That morning Alice had a reply from a host in Utrecht and he greeted us at the door and helped lock up our bikes before leading us up to his top floor flat which we later found out was in fact in the centre of the city. Snacks and expensive alcohol were offered as the aches and tiredness began to set in. After talk of travels and journeys, another smoke on his balcony then it was time to rest on our first day of traveling and although it had taken over three times as long as Google maps said it would we counted it a successful day’s travel. 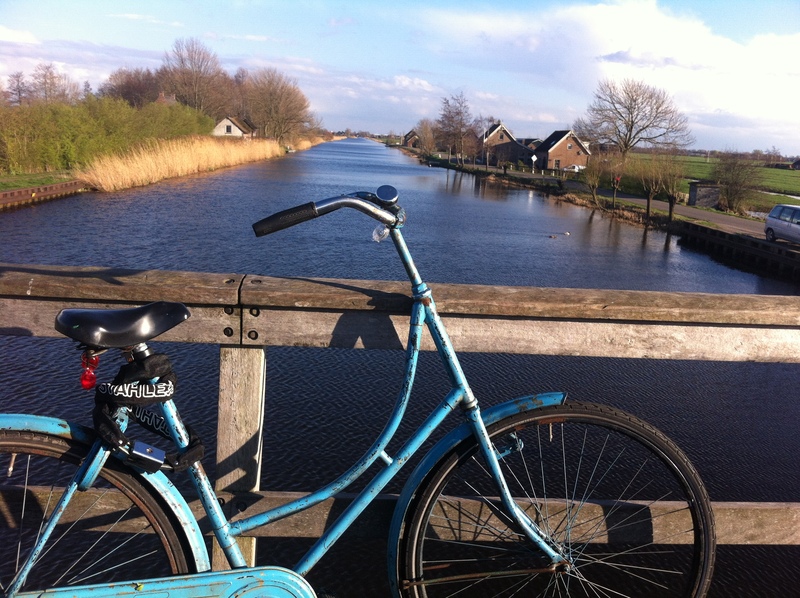 We awoke to a sunny and very warm first day of Spring in central Holland. I had only heard good things about Utrecht before traveling there and the city did not disappoint as we wandered around the coffee shops and restaurants of the old town surrounding Domtoren, the tallest church tower in the Netherlands. We spent a lot of time literally lying in a nearby square abusing the city’s free WiFi and generally breathing in our delicate surroundings. After saving a route down to a village south of Utrecht on our phones (don’t know why we didn’t do this before) where our next host lived we set off; backpacks on, sun shining and arse muscles still recovering from our journey’s first leg. 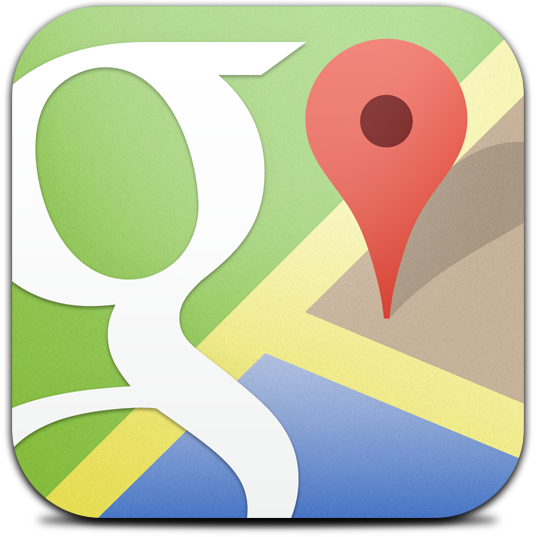 Google maps is a very useful tool when traveling and its cycle route option makes it better than the standard Iphone map app. Only after our journey was over did we find out that you could save routes on the app which would have saved us time and effort. The verity of cycling routes it provided meant that we always knew how to travel away from the main roads. A word of warning when using Google maps route finder: it lies. If it says that the ride time is 2 hours, the ride time is much more likely to be 5 hours, or at least this was the case for three amateurs on mountain and inner-city bikes. If you want to find out a precise point to point distance I would recommend the very efficient Daft Logic Distance Finder. Once again getting out of the city took a long time, the GPS on our phones wasn’t all that reliable and our attempted avoidance of the main roads was difficult, but the ride ended up being extremely pleasant. Through Oudegein park in the South of the city and then through the beautiful farmland in-between the river Lek and the small town of Leerdam. This time we did get to see the scenery in bright daylight and had our first taste of Holland’s canal covered countryside. Some three and a half hours later we reached the village of Zijderveld where a new host was quick to point out that if we had followed the main road it would have taken little over an hour but where’s the fun in that? AJ was another friend of Alice and Chris’s and we decided to spend two nights here, bowling on a high, card games and of course much more drinking occurred before we decided to set off for Rotterdam a few days later. My clothes rationing was now in full swing, having only packed for a three day trip to Bristol I only had two pairs of heavy jeans, a few t-shirts, one non-waterproof hoody and three pairs of underwear. I was very lucky the rain never really lasted for long and was never that heavy, but then again a bit of rain could have been used to wash some of my few clothes. We picked the route that we thought avoided the main roads the most, fairly direct and easy to follow. 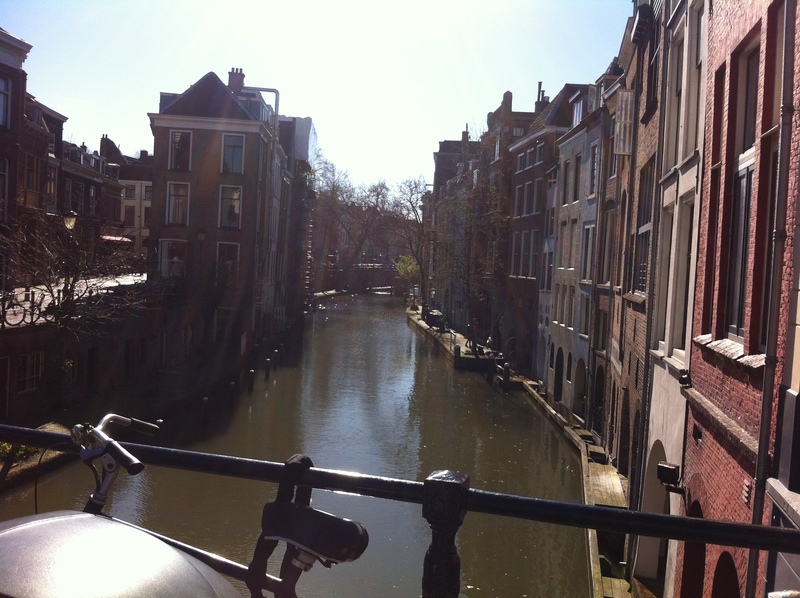 What we didn’t realize was just how beautiful the route we had chosen was going to be, along canals, rivers, passing all different kinds of traditional windmills and water birds, all with the warm sun shining bright above. 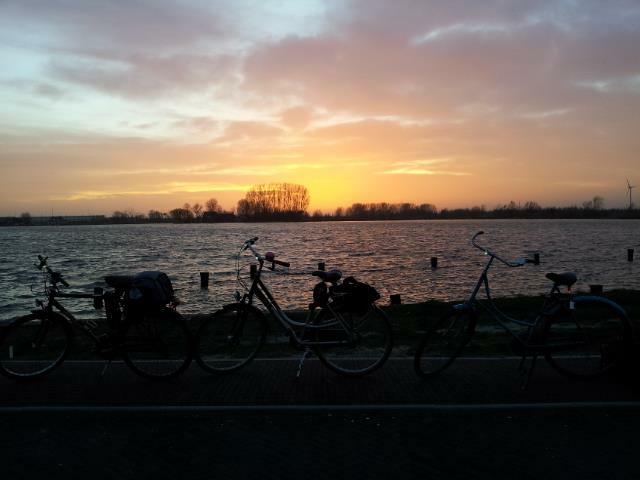 We had been listening to music for much of our cycling journeys, in our own little worlds, absorbing the scenery, but there was one song I had on repeat for much of this ride, The Beautiful South – Rotterdam (or anywhere). For anybody who considers cycling in the Netherlands and especially if you cycle to Rotterdam I suggest checking out Tiendweg Road. An uninterrupted 8 mile stretch of almost entirely empty road in-between canals, trees and some wonderful countryside ending in some spectacular scenery with fields of windmills in the foreground and the city of Rotterdam emerging in the distance. It’s well worth the ride. After our encounter with the devil and staying the night with another extremely friendly and helpful Coach Surfer host we set off facing our longest journey yet. Having already covered around 90 miles we didn’t have a pump to re-inflate our tires, oil to re-lubricate our chains or any tools to help our tiring bikes. Getting out of Rotterdam was quite literally straight forward up one north pointing road, this meant that we didn’t get to see much of the city which appeared largely unremarkable. We decided to take a direct route up towards Amsterdam following busy N roads for the majority. Despite travelling alongside main roads we were only ever next to them, never competing with cars. We got over half way following the main routes before peeling away into the country side for the last third of the trip. It was here me and Alice lost our fellow traveller Chris at a 3 way junction, with Chris’s phone unable to work abroad and no WiFi in sight there was nothing to do but carry on towards the capital. However Chris had been in charge of the route and had the map up on his phone so me Alice had to just continue in the general direction of Amsterdam following blurry maps on our weak GPS. We did find hope in knowing that the so called map Chris had been guiding us along was in fact just a blue squiggly line with a moving dot representing us. Our host in Rotterdam, an avid traveller himself had recommended to us an app which downloads in depth city maps to you phone, these would have come in handy when navigating out of the city centres or looking for places to go. 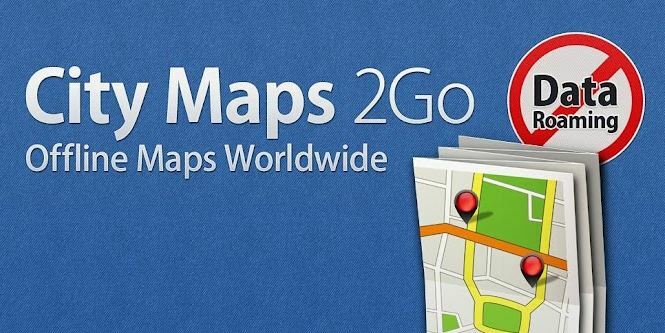 The app is called Ulmonpro Citymaps2go, the maps do take up a reasonable amount of memory but are very useful if navigating large areas of cites. After traveling up through some quaint villages and farm roads we arrived at Aalsmeer, a small town near the Schiphol airport. Being a Sunday we found no internet in Aalsmeer but in a restaurant bar down a quite road traveling along the circular canal we were able to send a message of our location and that we were close to Amsterdam to Chris. The bar lady must have taken pity on the two weathered students who came in asking for the cheapest items on the menu, as the plate of chips given was more than well stocked. After receiving a text from AJ telling us Chris’s location we rode into a stretch of Airport hotels and asked a lady at a check in desk to point it out on a my map in which she very generously did. After almost riding up a ramp onto a motorway a man pulled over to help point us in the right direction before driving part the way down the road to light up the bike route we probably otherwise would have missed. Sometimes humans can be really nice people, it’s easy to forget. After a short and spooky night time ride through the Amsterdamse Bos park woods it was a fairly straight forward to Chris’s location in which he had been waiting for over two hours. Just 15 minutes later and our cycle journey was over. We went back to the couch surfer’s house who we had borrowed the bikes from on the west side of the city. For 5 days of having the bikes and what I later worked out as around 140 miles of riding he only charged us 5 euros each for use of the bikes. Not only that but he hosted us that night as we once again didn’t have anywhere to stay. One of the things I learnt on our trip was that you can always depend on the kindness of Dutch strangers. The next two days were spent literally in a haze. Chris went off to revisit his friends Nicole and AJ and me Alice spent our time relaxing our weary muscles using some of Amsterdam’s unique relaxing tools. Sitting in the park on those last few days, the laws of the land alongside the Dutch affection for cycling seemed to make sense. A quick good-bye and a short tram journey to the east and I was back on another Megabus heading home. A lift from Bristol to London, a coach from London to Amsterdam, a tram from the coach station to the city centre, cycling 140 miles (a ferry crossing included). A tram back to the coach station and a coach from Amstserdam to Plymouth. £70. 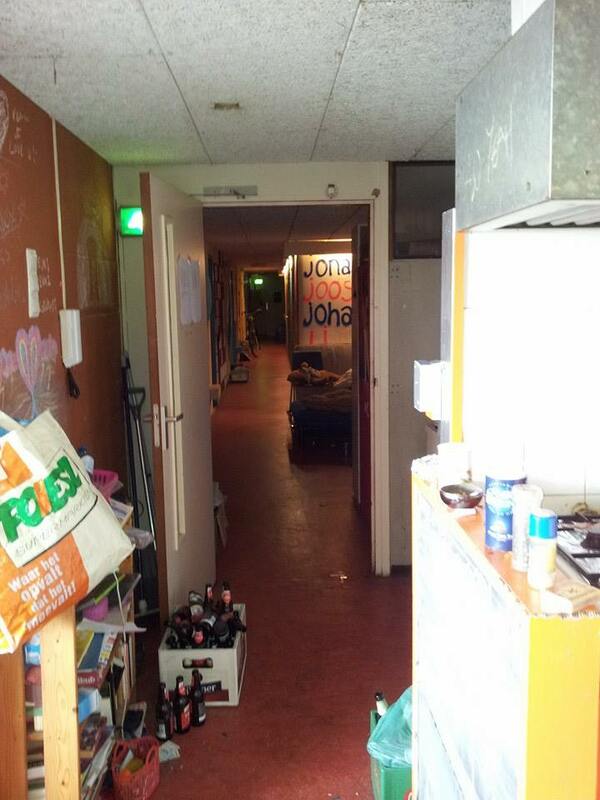 8 nights in Holland 4 with friends, 3 with couch surfers and only the last one paid for. 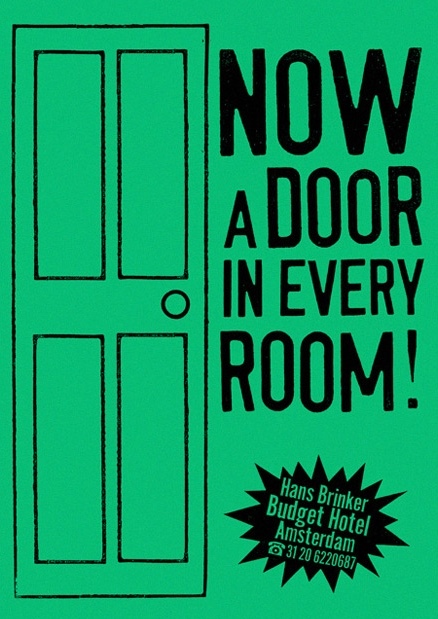 A 30eur anti-advertising hostel called the Hans Brinker (Breakfast included). Who says spontaneity is expensive?